Three movies by three of America's most renowned filmmakers, all in the same film. A dream project? Yes, even though the results prove mixed. New York Stories features contributions from Woody Allen, Francis Ford Coppola and Martin Scorsese. Each director filmed an approximately 40-minute segment with a separate cast and crew with only the setting of New York tying the three films together. 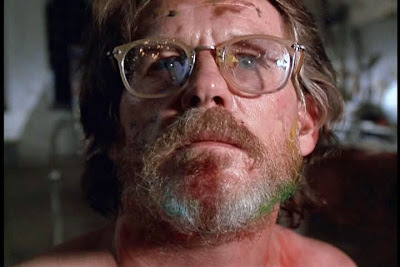 Scorsese's film "Life Lessons" stars Nick Nolte as Lionel Dobie, an aging artist procrastinating and worrying about his latest work for a museum exhibition. The return of his assistant Paulette (Rosanna Arquette) provides him with another preoccupation. Lionel loves her, but Paulette returns determined to leave Lionel, her artwork and the city. The plot, skimmed to its bare essentials for the shortened format, is less a story than an examination of creativity and obsession. The interrelation between Dobie, people and his work mesmerizes and fascinates. Richard Price's screenplay does what it needs to do: It satisfies and even leaves you wanting more. Nolte, an underrated actor, gives another fine performance as does Arquette as the aspiring artist who may or may not be using Lionel. Scorsese's work in "Life Lessons" deserves to stand with his many masterpieces such as Taxi Driver and After Hours. His dizzying camera perfectly reflects the mood and spirit of the character and his art. Coppola's "Life Without Zoe" occupies the second slot and it disappoints the most. 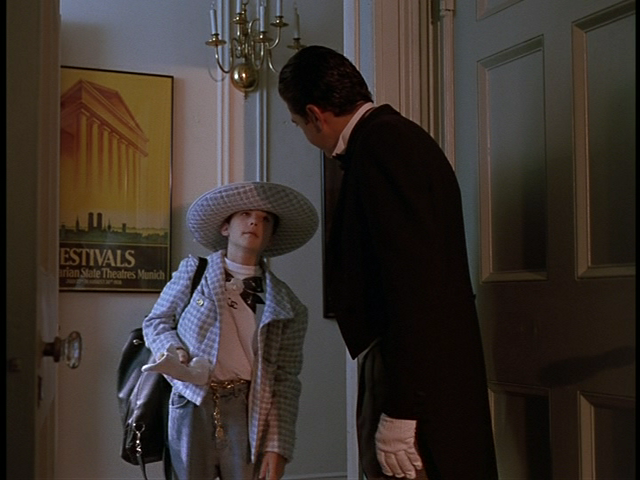 Fairly incoherent and meandering, the short (written by Coppola's daughter Sofia) concerns a rich young girl (Heather McComb) who practically lives on her own in a hotel while her parents (Giancarlo Giannini, Talia Shire) spend much of their time traveling around the world. The film's interesting images often fascinate, but nothing exists beneath the shots. The picture is an empty one, looking great but offering nothing beyond the design. 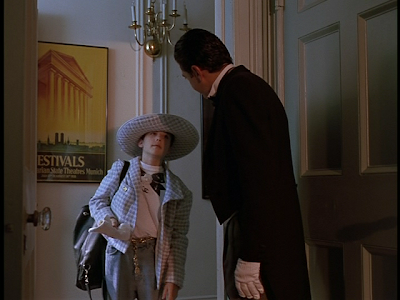 The best moments belong to Don Novello (aka Father Guido Sarducci) as Zoe's butler and Chris Elliott in a brief role as a thief. After enduring "Life Without Zoe," it is invigorating to see the familiar white-on-black credits that mark all of Allen's films. Allen's "Oedipus Wrecks" could be called the ultimate comic examination of the Jewish mother stereotype. Allen, making his first film appearance in three years, plays a lawyer engaged to a gentile (Mia Farrow) who earns the strong disapproval of his mother (Mae Questel). Mom constantly nags and interferes in her son's life to the point that Allen tells his psychiatrist that he wishes she would "disappear." The film takes off from here into Allen's purest piece of film comedy since Broadway Danny Rose. It frequently induces laughter but even at its short length, it may be a tad too long. The idea, which I won't spoil, is clever, but it might be better suited for a short sketch. Still, it entertains and it is worth relishing, if only for Allen's reactions and Questel, the original voice of Betty Boop, as she makes her son's life hell. Julie Kavner also performs well as Treva, a woman into the occult who tries to help Allen's character with his rather unusual problem. Overall, New York Stories earns a pass despite its weaknesses. 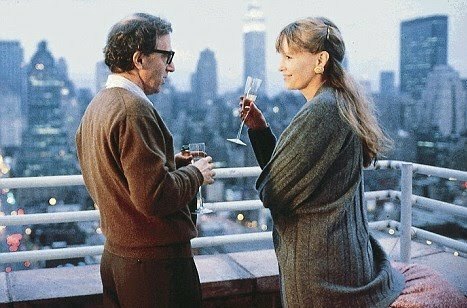 Besides, Scorsese's marvelous work alone is worth the admission price.